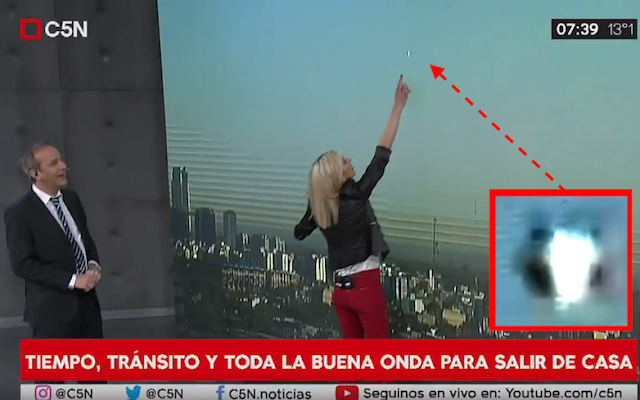 UFO SIGHTINGS DAILY: UFO Shows Up On Live Newcast Over Buenos Aires, Argentina, Video, UFO Sighting News. During a live news broadcast two reporters were surprised when a box shaped UFO began to cross the top of the large screen TV. As they are talking you first notice the UFO on the far right at 16 seconds into the video, but they don't notice the UFO until 36 seconds into the video. 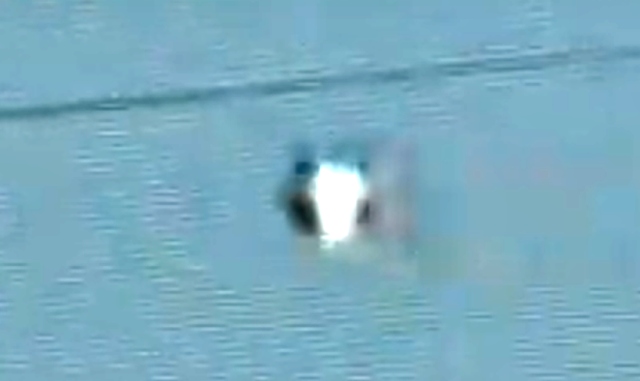 The shape and size of this UFO is very similar to one I reported over New York a few days ago. This box shape is actually more common than you might think. 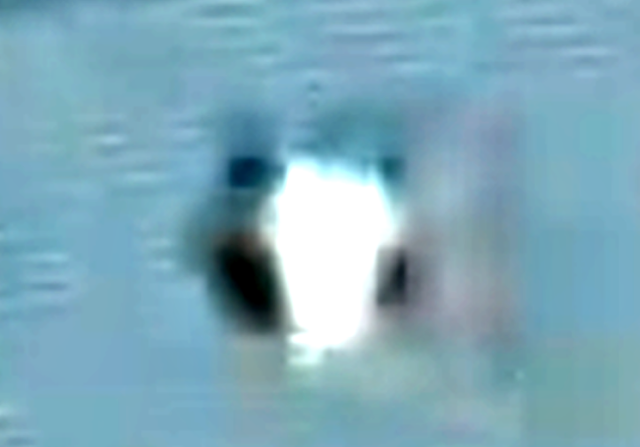 Without wings, propellers, jets this boxy UFO moves across the sky at a very high speed, much too fast to be a balloon. Remarkable, and this is 100% proof that aliens are trying to gentle their way into the hearts and minds of the public.